This synthetic hair is durable and perfectly balanced for watercolor painting and the flat style provides extended coverage. The short, transparent, acrylic handle stands up to tough stuff and offers superb control. 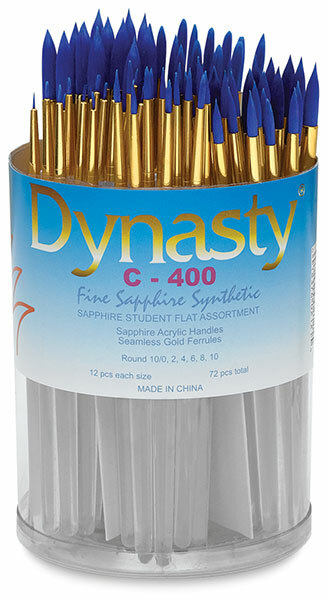 Brushes have seamless goldtone ferrules. 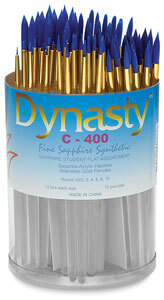 The 72-piece canister includes 12 each of Round sizes 10/0, 2, 4, 6, 8, and 10.